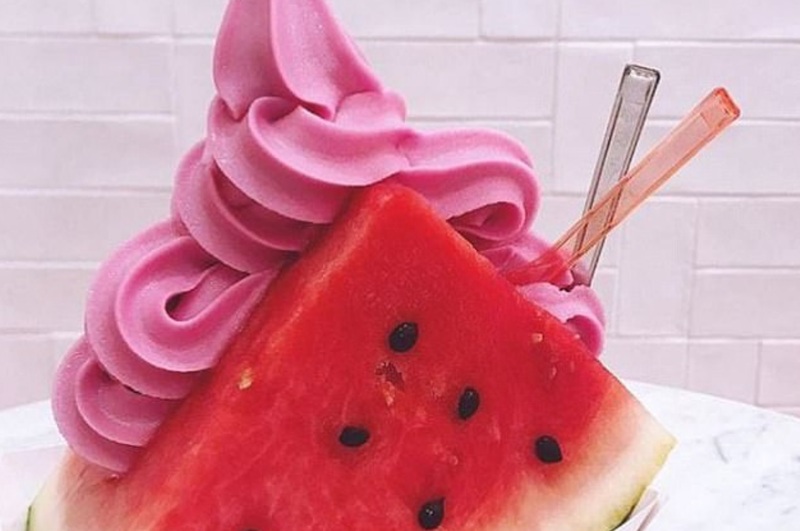 A South Korean-based dairy ice cream company has made its debut in Melbourne, offering an innovative vegan watermelon ice-cream sandwich. Milkcow, which has become the fastest growing ice-cream chain in Asia, is known for its organic soft serve treats - and is now tapping into the non-dairy market with its new creation. 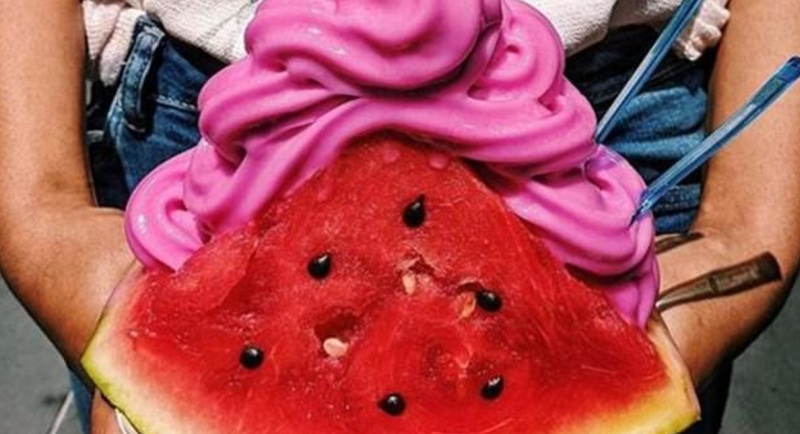 The vegan dessert - watermelon slices with chocolate chip 'seeds' stuffed with pink watermelon soft serve and Himalayan rock salt sprinkles - has been making the rounds on social media. Designed by renowned pastry chef Dominique Ansel, the organic and gluten-free treat was first served in the chain's Tokyo store. Milkcow's watermelon ice cream sandwich will be available for a limited run throughout summer in Melbourne.